Become a CX Network Media Partner and expose your organisation to our database of over 174,000 customer experience, marketing, digital and insight practitioners, and members from the likes of John Lewis, Vodafone, Macy’s, Sky and Mothercare! We also create regular in-depth reports based on primary research and discussions we have with industry leaders, which provides great opportunities for you to get your messaging in front of a targeted senior audience to increase brand awareness, grow your database and web traffic, and have access to the latest expert content. Interested in partnering with CX Network? Email our editor on zarina@cxnetwork.com for more information. 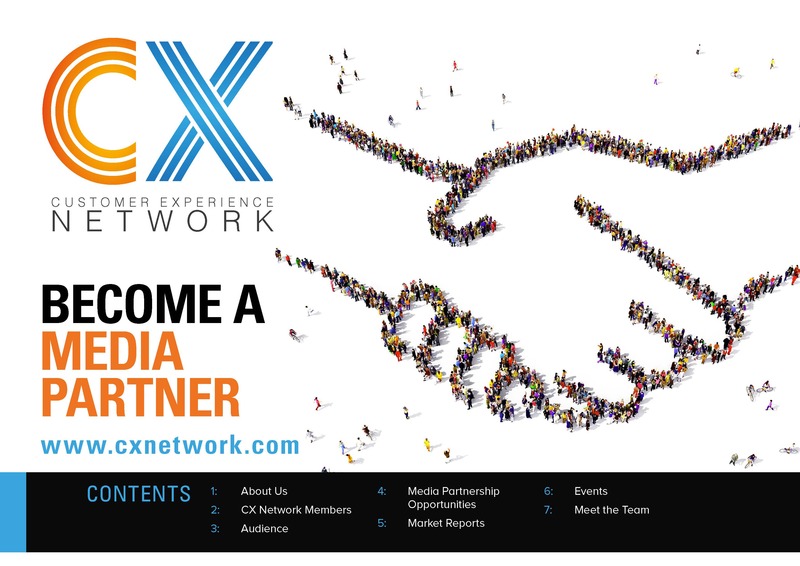 Become a CX Network Media Partner and expose your organisation to our database of over 90,000 customer experience, marketing, digital and insight practitioners, and members from the likes of John Lewis, Vodafone, Macy’s, Sky and Mothercare!